Donald Trump’s heightening disdain for reporters is such that he’d surely love to lock them in the dungeon. And as it turns out, he’s done the next closest thing today. 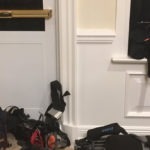 When Trump traveled with Japanese Prime Minister Abe to play golf at his own resort in Florida today, reporters from major media outlets were allowed to tag along. But when they got there, they were placed in the basement, where there windows had been covered with black plastic. How can this be America? And it gets even stranger. 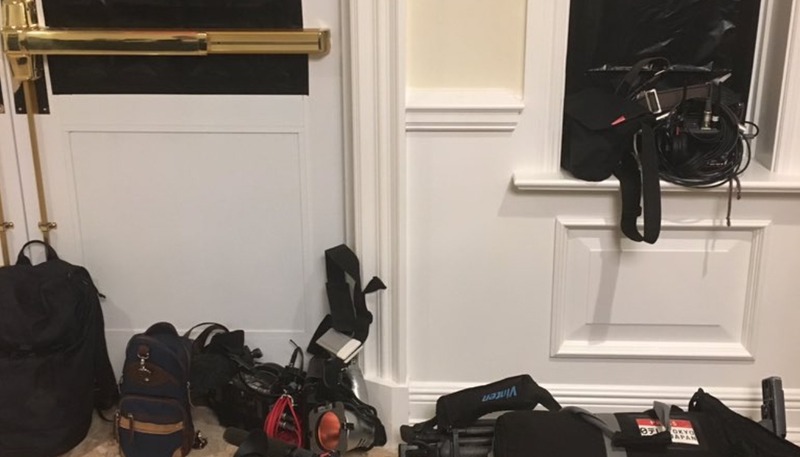 After Trump finished playing golf at his Jupiter golf course, where he had buried the reporters in the basement, he then traveled to his other golf course don the street in West Palm Beach and began playing even more golf. Meanwhile Trump has since tweeted a photo of himself with Abe on the golf course, raising the question of just what he was attempting to prevent reporters from photographing, if he didn’t mind a photo of himself getting out while golfing.